Time of Origin: Triton, Neptune’s moon, 1971. 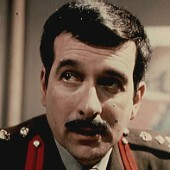 Appearances: "The Devil Goblins from Neptune"
Companions: The Brigadier, Captain Mike Yates, Sergeant Benton and Liz Shaw. History: The Waro were some of The Doctor’s most ruthless and cruel adversaries. They were a fairly intelligent species, capable of constructing a very efficient means of one-man flight and skilled biochemists, but they had one small problem; they were continually angry at everything in the known Universe, even themselves. This would normally have meant that the Waro would have eventually driven themselves into extinction, but they managed to manipulate their brains so that the anger was directed away from each other and at anything else. Eventually an Earth probe from Britain arrived on Triton, putting the Waro in contact with a man called Viscount Rose. Rose, believing that humanity had gotten too corrupted to be allowed to continue, and saw the Waro as his means to an end. One batch of Waro arrived on Earth earlier, and set up a false operation within the Soviet Union in Siberia, while a later group would do the genuine operation. Captain Valentin Shuskin, of UNIT’s Soviet branch, tried to contact UNIT-UK to enlist the aid of the Third Doctor after people started vanishing around the area where the Waro were located, but The Brigadier apparently rejected their request. With no other choice, they attempted two separate attacks on The Doctor, neither proving successful; if it wasn’t The Doctor’s superior unarmed combat skills that stopped them, it was his abilities at escaping. Eventually Captain Shuskin and the Brigadier met, and the Brigadier learned about what had driven them to the attempted kidnaps. While The Doctor and Liz Shaw joined Shuskin in Russia, the Brigadier checked up on the reasons why his refusal had been staged at UNIT, leaving Captain Yates in charge of UNIT-UK. While The Doctor was investigating the incidents in Russia, UNIT was attacked from the inside by a man claiming to be Bruce Davis of UNIT’s American branch, but was really Thomas Bruce of the CIA. Bruce murdered a UNIT scientist, made it look as though the scientist had killed him by disfiguring the man’s face with acid, planted a bomb in The Doctor’s lab that nearly killed Sergeant Benton, and then ran off to catch up with the Brigadier in Geneva. The Brigadier, meanwhile, had traced the corruption in UNIT to a Major-General Hayes, who murdered the men who were helping the Brigadier and took him to his real boss. That man was known as simply ‘Control’, and was in charge of the CIA. It turned out that the CIA had been dealing with alien threats long before UNIT was even set up, and they thought that UNIT didn’t know where their loyalties lay due to their working with The Doctor. 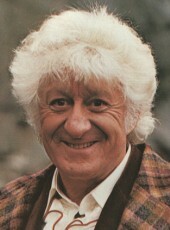 Meanwhile, in Russia, The Doctor had managed to get to the site of the Waro’s landing, but it wasn’t very successful; his attempts to read the mind of a captured Waro had lead to his going into a coma after it killed itself, and then went into another when several Waro knocked him out after he worked out a way to shut down their flying devices. Fortunately The Doctor managed to recover in time to save Liz and Shuskin from several attacking Waro, although they were horrified to learn that there was actually nothing remarkable in the valley where the Waro were. Having gotten back to UNIT-UK, The Doctor managed to get the UK’s supply of cobalt moved away, but the Americans destroyed in order to bait their own trap for the Waro. Meanwhile the Brigadier had discovered that the CIA were holding hostage an alien race called the Nedenah, old enemies of the Waro and a remarkably likable lot. The CIA intended to destroy the Waro and defeat the upstart UNIT, but they underestimated the Brigadier and he managed to escape. He encountered Rose and Professor Trainor of the Neptune Project (And also an old mentor of Liz’s), opening the Nedenah’s cages, but it was only so that Rose could kill them. However, Trainor and the Brigadier managed to save them, and the Nedenah broke out of the CIA bunker in their ship.